Customize our Landscaping Lawn Care Flyer Template and more! 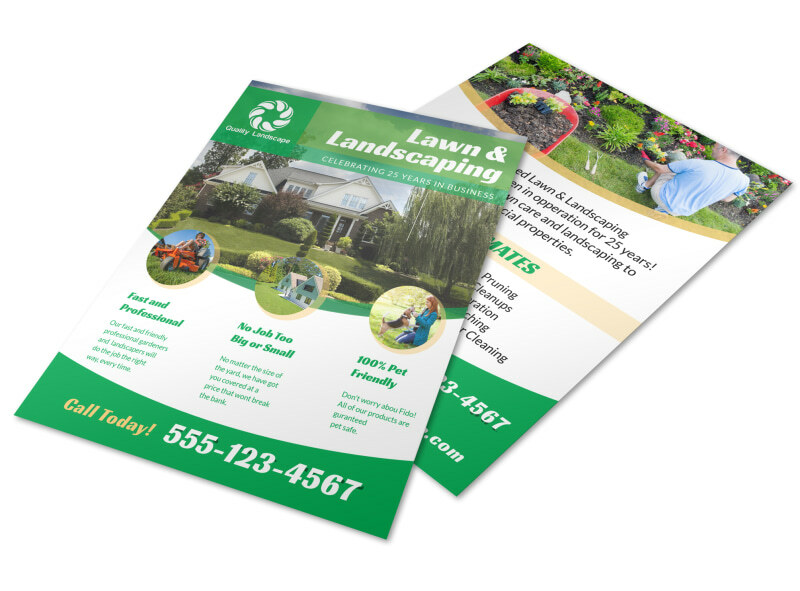 Mow over the competition and create a flyer that will show off your expertise in landscaping. With various color themes, fonts and graphics to choose from, this one of a kind flyer is sure to be a hit to anyone who sees it. Print from where you are for fast access to your flyers or let us print for you.